What type of photography shot do you need? Check out our blog on types of aerial photography shoots – which explains the various types of aerial shoots. Orbit, overview, search grid, selfie, follow shot? If you are a real estate agent, you are likely to want the ‘orbit shot’ to show off a building or location. If you are planning for a landscaping project, you are likely to want an ‘overview’ shot. If you are in law enforcement, you may want to use ‘search grid’ and use special cameras to obtain thermal images. If you want your shot to follow a race car or a moving object, you will want a ‘follow shot’. Why the types of shoots are important – because your drone will need to perform the types of shoots you need. What drone features do you want in your rig? Camera stabilization is one of the most important features of your drone. Gimbals help to stabilize your video and photographs during flight. For example, 3DR Solo’s 3-Axis Gimbal and DJI Phantom 4’s integrated professional 3-axis gimbal are both well designed stabilization systems. Check the drone’s abilities to maneuver to match the type of photography shoots you want, for example: orbit, follow me, selfie (fly out), and, features such as obstacle avoidance and flight planning with way-points. The Orbit feature allows you to fly the quadcopter in a perfect circle around a point. This means that your flight path will be nice and smooth. A flight plan with way points might not be quite as smooth a circle, but your choice of flight path will be much more flexible. If you think that you will be primarily or almost exclusively shooting videos of houses, the orbit feature would be very desirable. If you are going to be shooting videos of construction or landscaping projects, a more complex flight plan would be more desirable. Not all modes are available in any given drone. You may save some money if you don’t buy drone features you don’t need. Your maximum altitude will be 400 feet per FAA regulation. You simply can’t see enough detail on the ground at much higher altitude. (Exceptions are the “overview” and the “selfie” shot.) In addition if you get too high you risk “flyaway”. However, your projects may differ. If they do, take that into consideration. Most professional drones that you will be considering are in the range of 15 – 30 minutes. With around 30 minutes of flight time, you can do a grid shot of about 200 acres. Most wedding shoots will likely need less time, but having a spare battery never hurts. What camera features do you want in your rig? Special lens? The 4mm lens is pretty standard. Do you need 5.2mm fish eye lens? HD video camera with 10MP, 12MP? Do you need full HD 1080p at 120 frames per second? Or, 1080/30 fps? HD still camera in 4K mode captured at 30 frames per second. Time lapse mode – to automatically create video from frames captured at set intervals. If the default camera does not have exactly what you want, get a camera that does. Don’t skimp here. You want to focus on filming your shoots, an integrated flight planning and control software will allow you to visually plan your flight path, overlay waypoints onto a visual map of your flight area. How much time do you need in the air before you land your drone and swap out the batteries? Consider the advantages and disadvantages of number of missions (as determined by flight range/ flight time/ battery) versus your budget to get a faster drone with a longer flight time and range. If you are an experienced drone pilot, but just getting into the photography area, you may consider buying a modular design platform, i.e. a good drone platform (e.g. 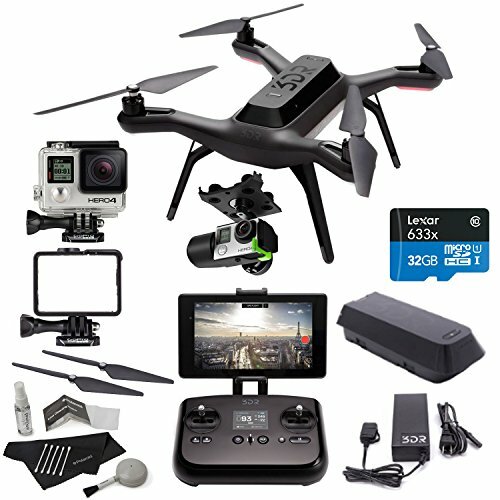 3DR Solo) and removable camera (e.g. GoPro). You can upgrade your camera or add the camera features you need later. If you prefer an integrated system and you don’t need to use the camera without the drone, you may prefer a built-in camera option (e.g. DJI Phantom series). 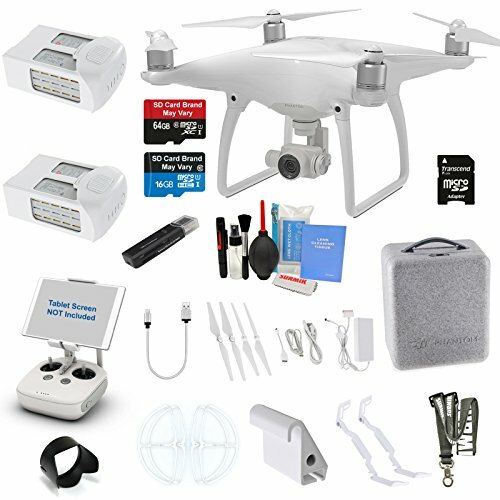 You will want to plan for $1000 to $2000 for a professional-grade camera drone (with features such as ‘follow me’, ‘collision avoidance’, full HD video at 1080p/30 frames per second and flight time of 15+ minutes). 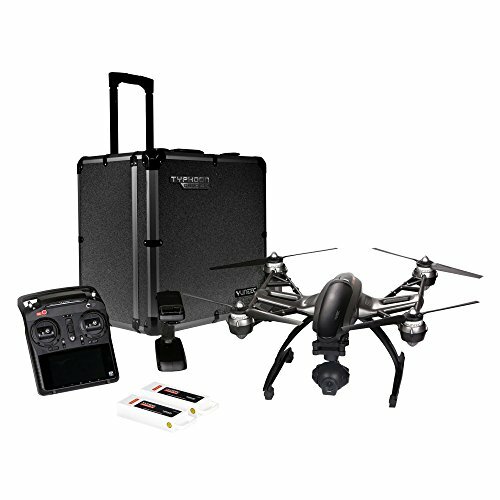 Your budget will go up to $5000 and more as you increase flight time to 30+ minutes and /or include special feature like thermal imaging, etc. You need to register your drone if it weighs more than 0.55 pounds and less than 55 pounds. Check out the FAA’s Small UAS (Unmanned Aircraft Systems) regarding pilot and operating rules.